Pardon The Punctuation...Finally had the chance to make it over to Lucques on Melrose for dinner. This pan- Mediterranean restaurant was a hit in my book. The venue is gorgeous. I sat close to the interior fireplace and really had the sense that I was eating in someones rustic home. There is an elegant simplicity to the dining room that enhances the foodie experience. Here's what I had. Lamb Kibbeh-Nayeh: with spiced carrot salad, cucumber, raita and kumquats. A kind of a lamb tartar. Wonderfully seasoned and the carrot salad was amazing. I could eat a bowl of that alone. Grilled Niman Ranch Hanger Steak: with baked ricotta, grilled leeks and salbixada. So glad I went with this dish. I never thought that baked ricotta would compliment the steak so well but now I can't wait to try this at home. Perfectly medium rare and the leeks worked well with the flavor profile of the meal. 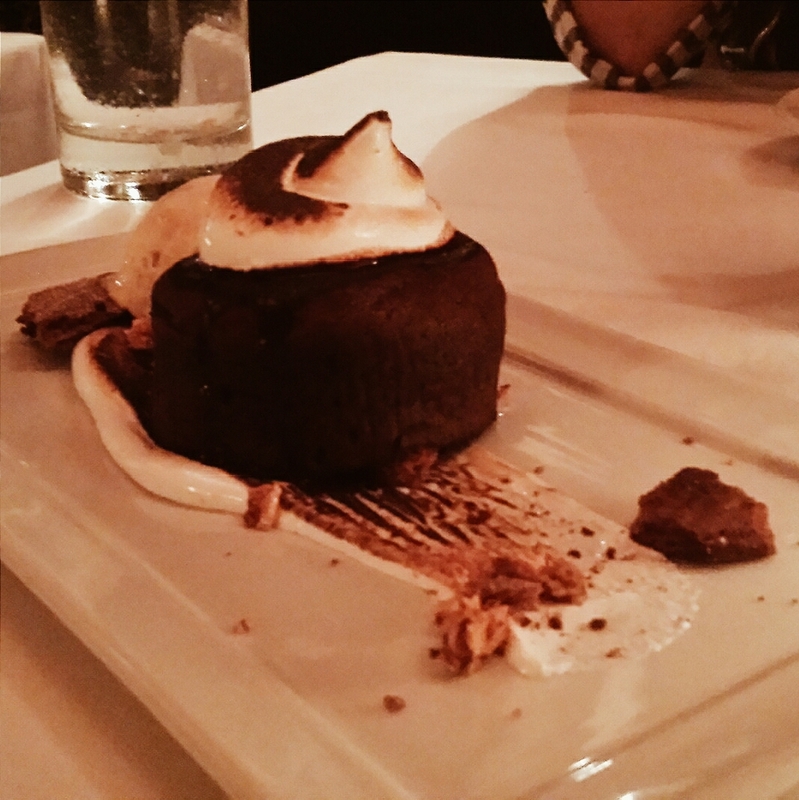 S'mores Chocolate Cake: with marshmallow, honeycomb and vanilla ice cream. The best way to describe this would be if crack were a s'mores dessert, this would be it. Decadent, rich, and full of chocolate goodness. Chef Suzanne Goin has put together a great menu and this is definitely a place I'd recommend to any fellow foodie.